I’ve got a little giveaway for you this week, courtesy of Vital Proteins. One box of collagen peptides (20 packets) is up for grabs — these are ideal for summer travel! 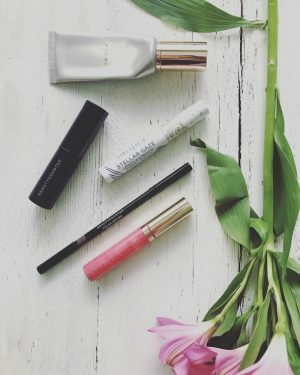 You can stash them in your carry-on bag, store in your desk drawer at work, and even put a couple in your purse for your next coffee shop date. 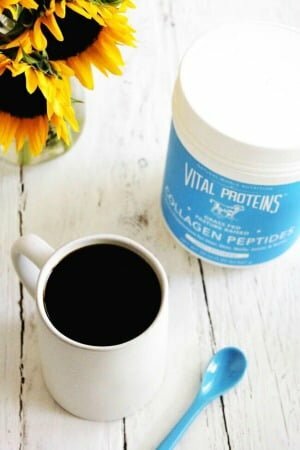 If you’re new to the collagen peptides scene, read: I Love Collagen Peptides. I put a scoop of unflavored collagen peptides in my black coffee every morning. Collagen has many health benefits (hello glowing skin! 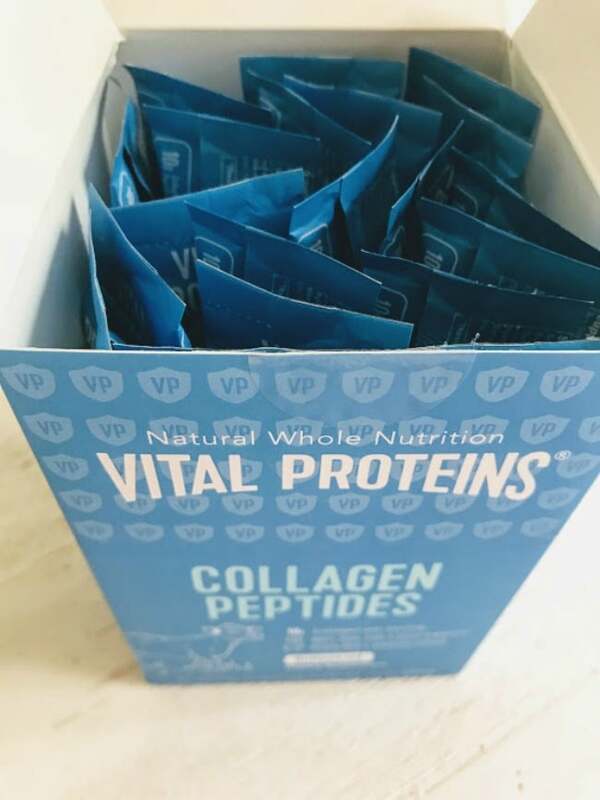 ), and I love that Vital Proteins has these individual packets to make it easy to incorporate a dose of pure protein when you are on the go. 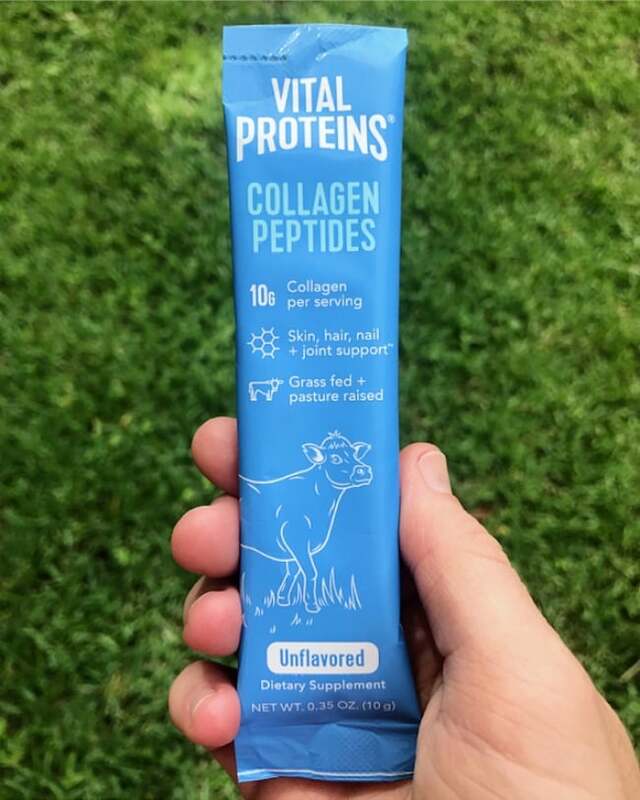 Curious about collagen peptides or already a Vital Proteins enthusiast? Enter the giveaway below! Disclosure: This post contains affiliate links. Product for giveaway provided by Vital Proteins. As always, opinions are entirely my own. 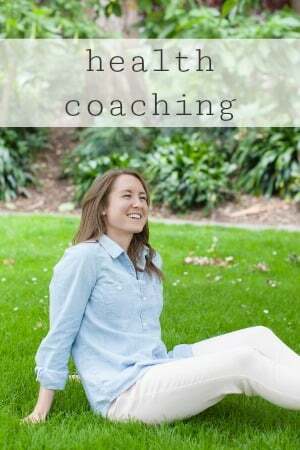 Remember a few days back when I mentioned in a blog post survey that my dream workout would be one with Jen from Peanut Butter Runner? Well, I think this is as close as I’m gonna get for now; Charlotte is quite a ways from Northern California, le sigh. What I mean is that Jen’s first book was published this month (#2 is already in the works — isn’t she such a rockstar!?). Jen kindly offered to send me a copy of her book to review. Little did she know, she’s one my fitness idols. Yes, please, and thank you! 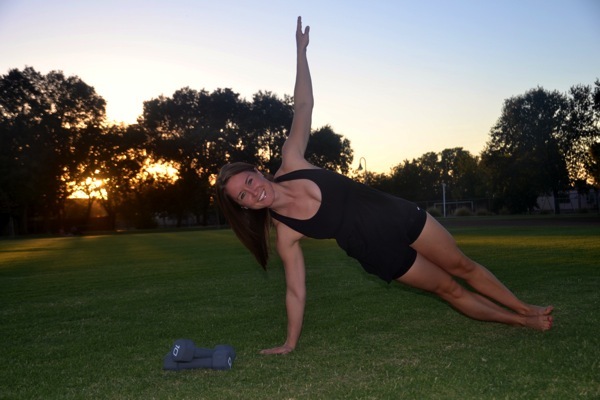 I love to plank and incorporate them into nearly every single workout, sometimes intentionally, unless I am just going for a run. Some of my favorite planks include: plyometric frog jumps, renegade rows, and stability ball push-ups/ab tucks. Have you tried my 10-minute Plank + Push-up Workout? 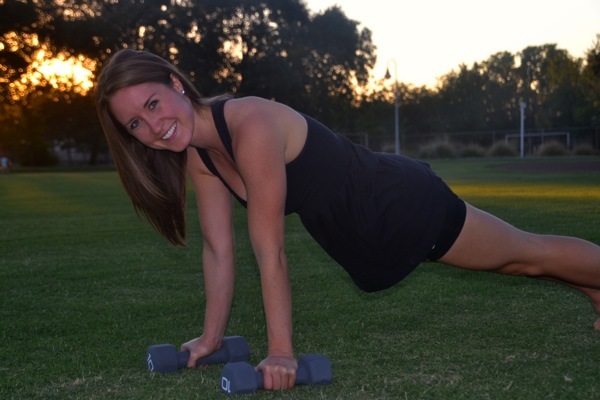 Jen’s book includes 101 plank versions – from your basic position to those including weights and equipment. The photos show perfect form, and the clear, concise descriptions include modifications for each exercise. 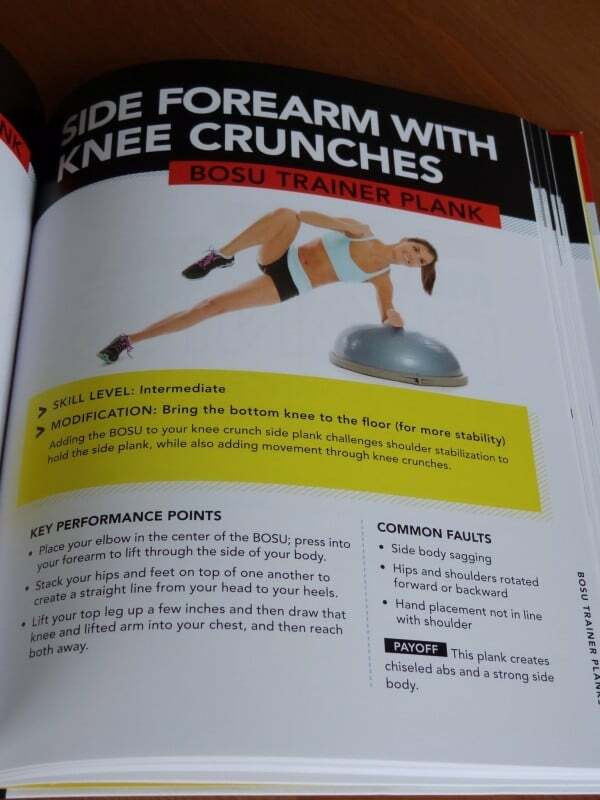 The book also includes ten 5-minute workouts incorporating several planks variations. Flipping through the pages, I can’t help but crave a strong, solid core for summer. 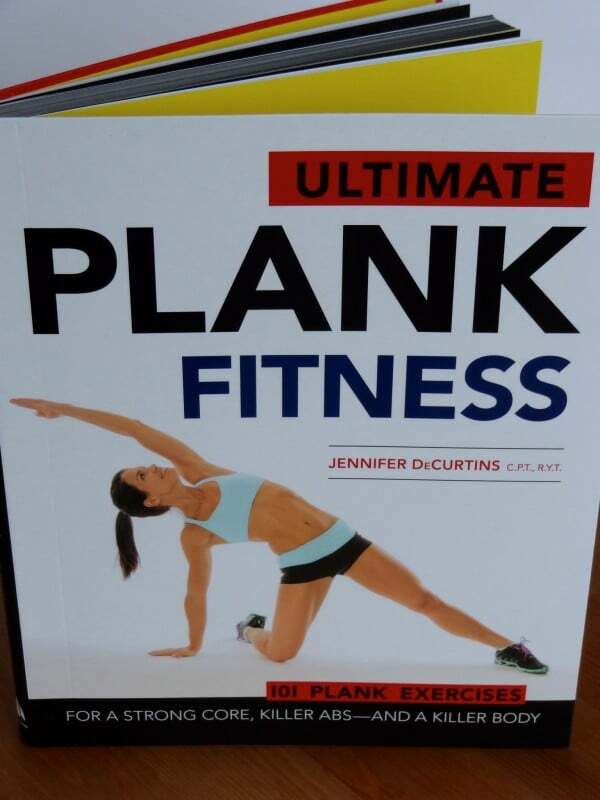 See the giveaway below to win a copy of Ultimate Plank Fitness! Disclosure: This post is sponsored by Airborne®. While I was compensated to write a post about Airborne® Everyday™, all opinions are my own. You are either a morning person, or you are not. 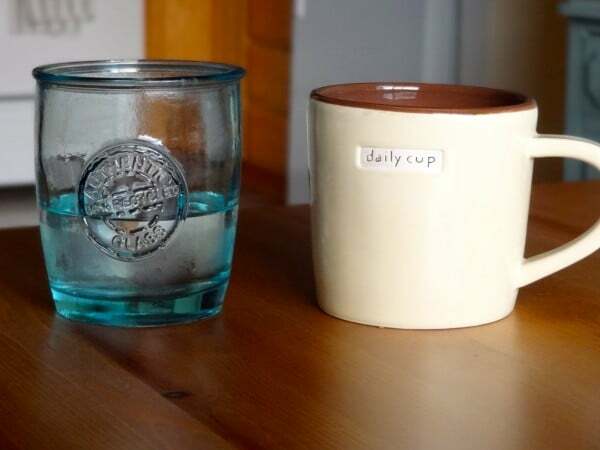 I am wholeheartedly, 100 percent a morning person – yep, I am one of those people. 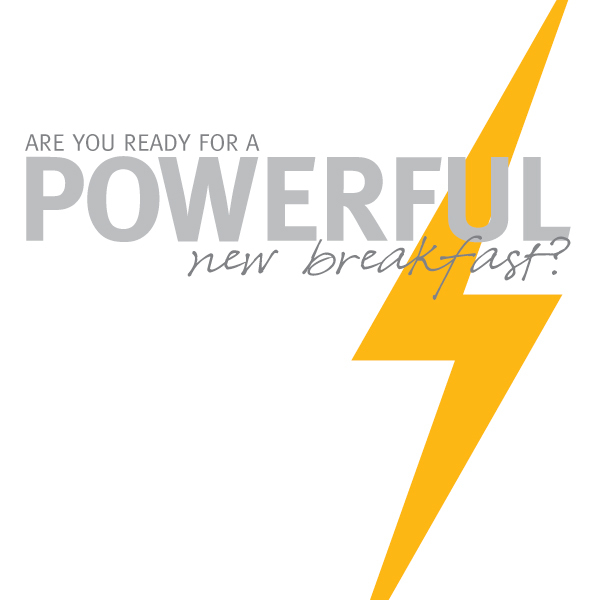 Perhaps it is because breakfast is my favorite meal of the day; but, regardless, I see my morning as the foundation of how I create a fresh, new day. Begin your day with a fresh glass of H20. This is a newer habit of mine and it helps to rid of any grogginess almost immediately. If you’re feeling up to it, add a tablespoon of unpasteurized apple cider vinegar for a slew of health benefits – including revving up your metabolism for the day. 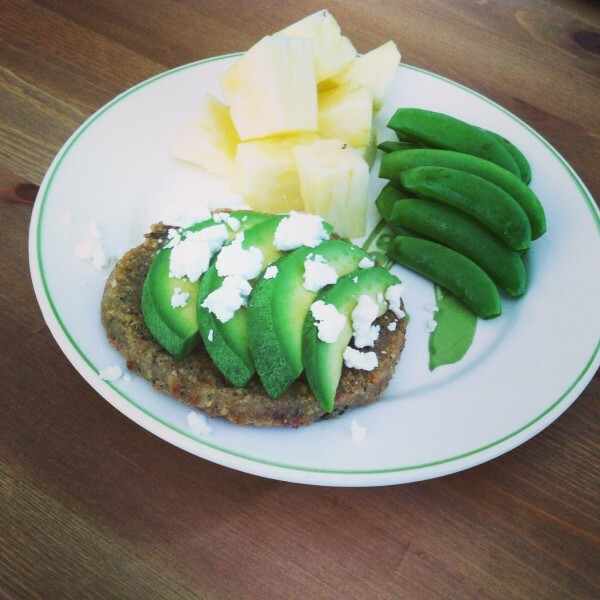 Enjoy a nutritionally satisfying breakfast at the table (preferably sans technology). Set your alarm a few minutes early to have enough time to eat your first meal in a calm, peaceful environment (rather than while rushing out the door). A few of my favorites include 3-Minute Banana Peanut Butter Oatmeal, Creamy Cashewmilk Steel Cut Oatmeal, and Almond Butter Hemp Seed Toast… or a bowl of Power O’s! Sip a hot beverage. This is also a newer ritual of mine (as you all know I’m an iced coffee fiend). However, I’ve been savoring an aromatic cup of joe these days. If coffee isn’t your thing, a hot mug of herbal tea, or even warm water with fresh squeezed lemon will wake you (and your tummy) up. Tumeric tea with coconut milk is another nourishing option I’m eager to try. After breakfast (perhaps while sipping said hot beverage), take 5 minutes to write out your intentions/aspirations for the day. This isn’t meant to be a nagging to-do list, but rather your intentions for how you envision your day along with the necessities that need to be accomplished. 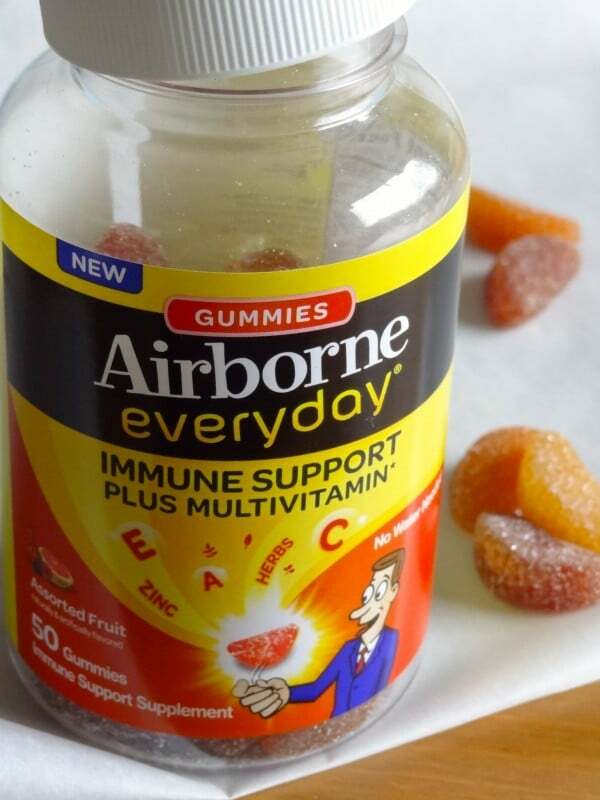 Chew a tasty multivitamin like Airborne® Everyday™ – a daily multivitamin plus Airborne’s® crafted immune support. What are your tips for creating a nourishing morning? 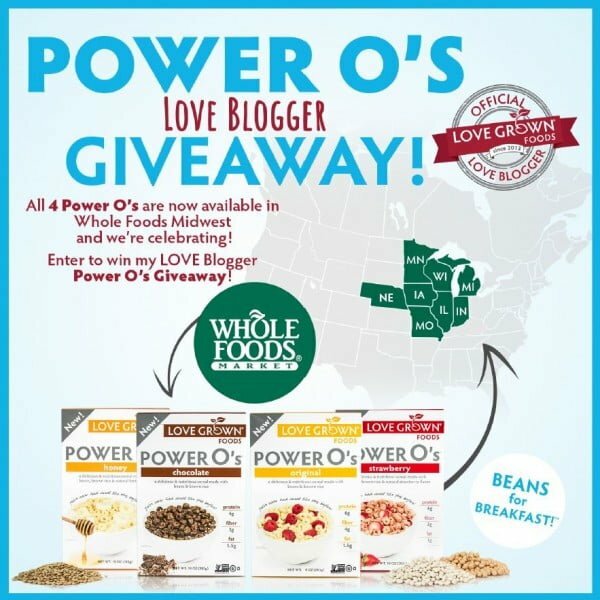 Three readers will win 1 bottle (50 count) of Airborne® Everyday™ + 2 sample boxes of Love Grown Foods Power O’s breakfast cereal. There are 3 ways to enter. Please leave a separate comment for each way of entry. 1 // Subscribe to the Nutrition Nut email newsletter. 3 // Follow on Instagram and/or like on Facebook. Giveaway ends Wednesday, April 1 @ 6:00pm PST. Good morning! I am still giddy with adrenaline from launching Nutrition Nut’s new look yesterday; it is so fun and motivating to have an updated space to share with y’all. She’s all grown up! To celebrate the makeover (it’s been a long time coming), let’s do a giveaway over here! Without my readers (you! ), this place wouldn’t be half of what it is; so thank you for returning to this place time and time again through its various seasons and styles. 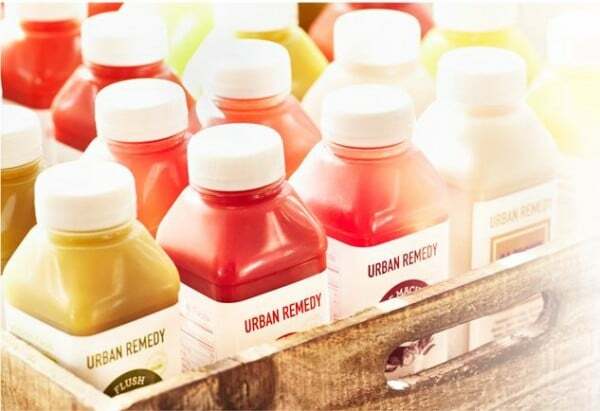 I’ve had the opportunity to work with Urban Remedy a couple of times: first, sampling a variety a variety of their fresh juices, and second, when “I ate like supermodel” with the Cindy Crawford’s Essentials cleanse. 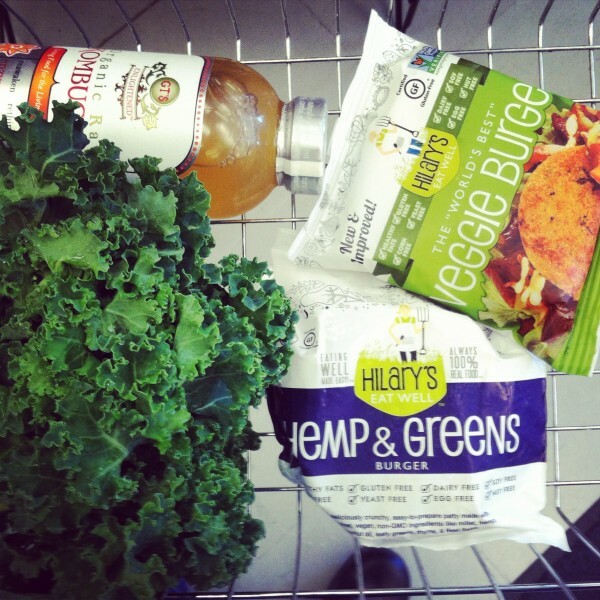 Of all their raw and organic offerings I have tried, I was most smitten with their green juices. 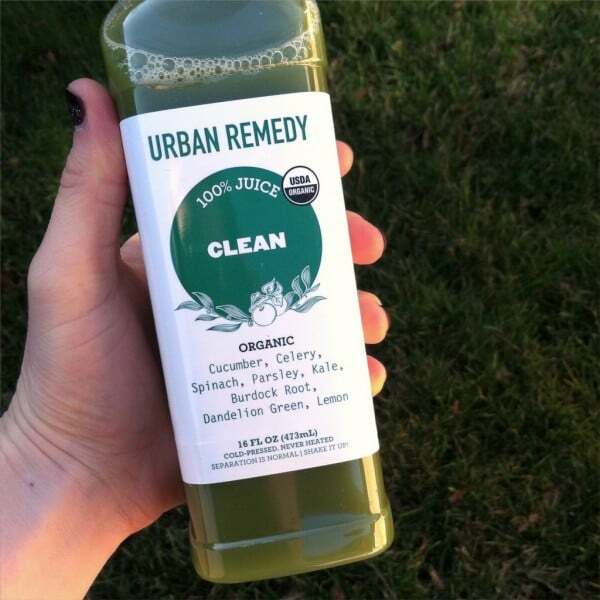 Urban Remedy has kindly put together a Greens Galore giveaway for one of you including: a couple of said favorite cold-pressed beverages plus crispy kale chips and raw zucchini pesto pasta. 2 // Like Nutrition Nut on Facebook. 3 // Follow on Instagram. Giveaway ends Friday, March 6 @ 6:00pm PST. Disclosure: I was not compensated to write this post. Product is generously provided by Urban Remedy. Friends! 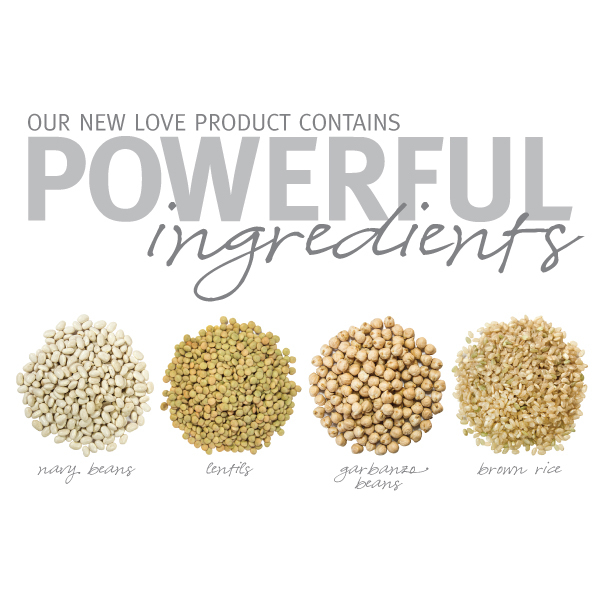 I have something exciting for you — the very first limited edition Love Grown Foods product… and I am giving some away to one of YOU. 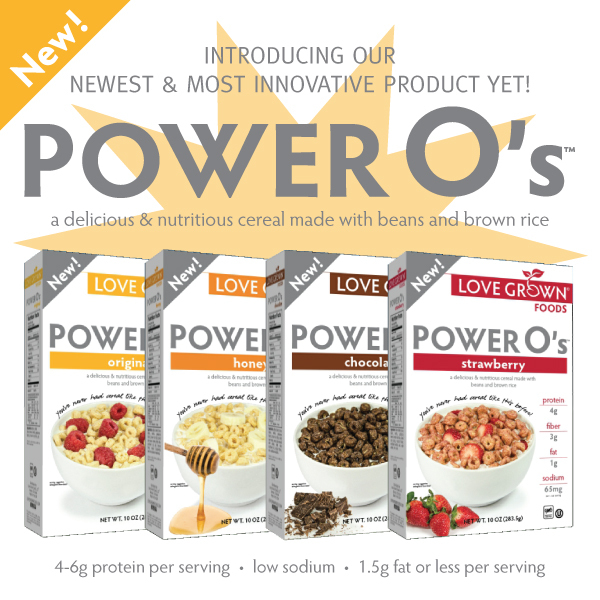 Earlier this week, LGF debuted their LOVE O’s — heart shaped Power O’s in Chocolate and Strawberry flavors. 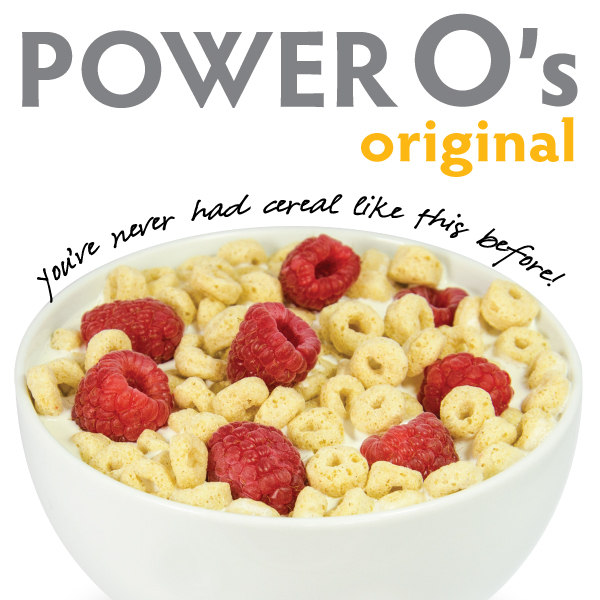 Power O’s Original and Honey flavors are my go-to boxed cereals; I don’t feel guilty pouring a late-night bowl with homemade Super Oats™ granola, as they’re made with… beans! 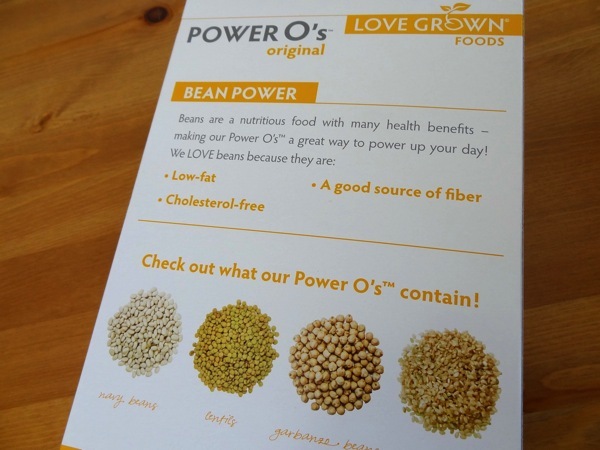 Click here to get the scoop on Power O’s powerful ingredients. Just FYI, this product will only be available in Kroger, King Soopers/City Market, Dillons, and Fry’s for the first few weeks of February. One randomly selected reader will win their very own Limited Edition Valentine’s Day LOVE Drop of LOVE O’s. Giveaway ends Friday, February 6 @ 6:00pm PST. 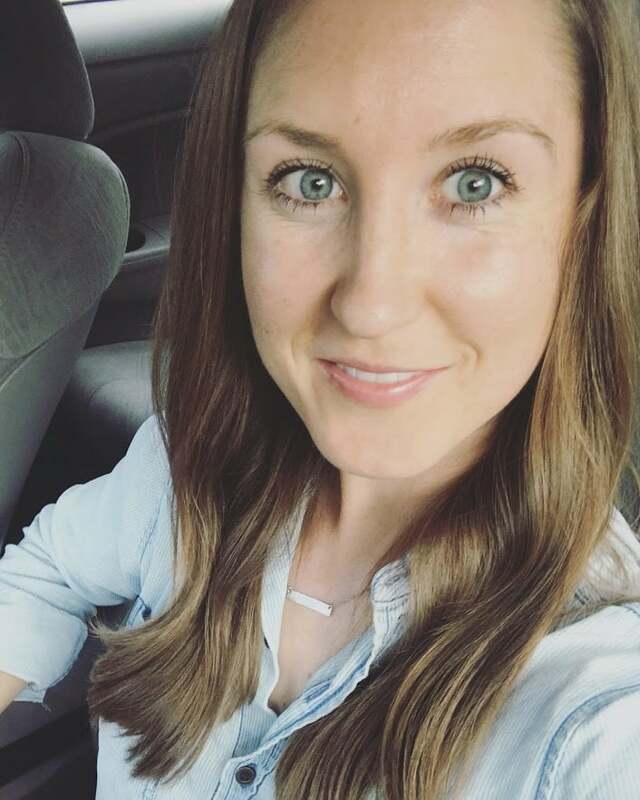 The winner is… Samantha Wilt! Mornin’ & happy Monday to ya! How about another giveaway to start off this week with a healthy bang? 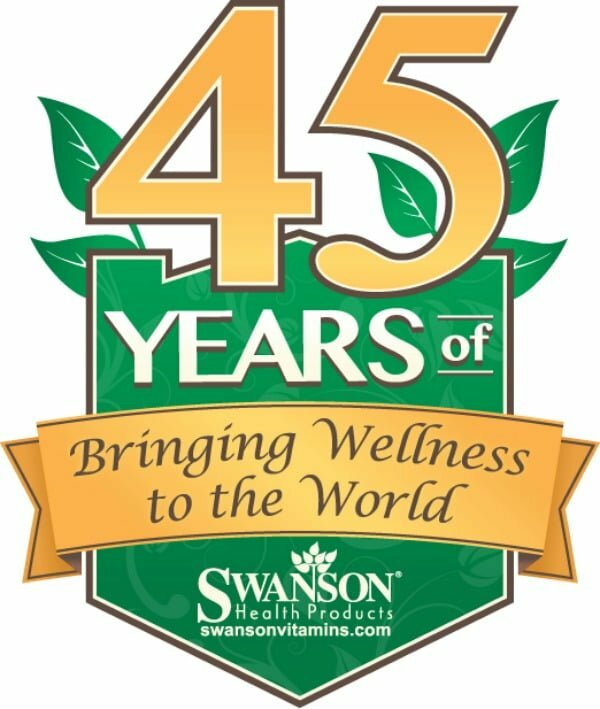 Swanson Health Products recently contacted me to let me know that the family-owned company is celebrating their 45th anniversary this summer. That’s a lot of years selling vitamins, supplements, healthy foods, and natural beauty products! To celebrate, Swanson offered to give me and one of my readers $45 credits to the online store! I had heard of Swanson Health Products via other healthy living bloggers, but I had not purchased anything until just a couple of weeks ago. Let me tell you, it was challenging trying to decide what I wanted to put in my shopping cart. You could spend hours perusing their inventory of health-enhancing products. 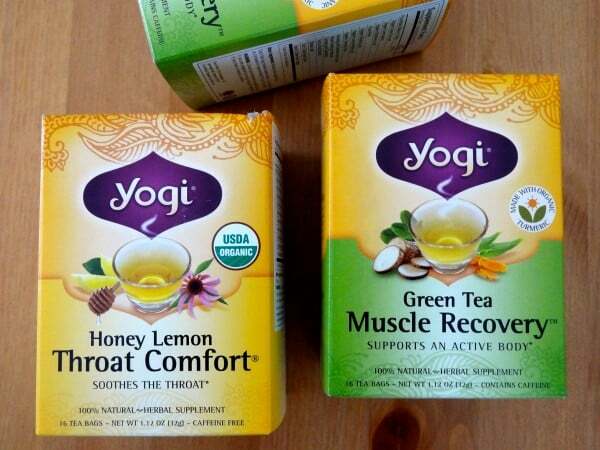 Ultimately, I chose my favorite Yogi Muscle Recovery Tea (2 boxes), 1 box of Yogi Throat Comfort (in anticipation of winter colds), 1 bottle of fish oil/Vitamin D supplements, and 1 bottle of PB8 (the probiotic I’ve been taking the past few months); I got all of that for less than 45 bucks! Swanson’s prices are incredible. Even without a special credit, I definitely plan to use the online store in the future as their prices can not be beat. 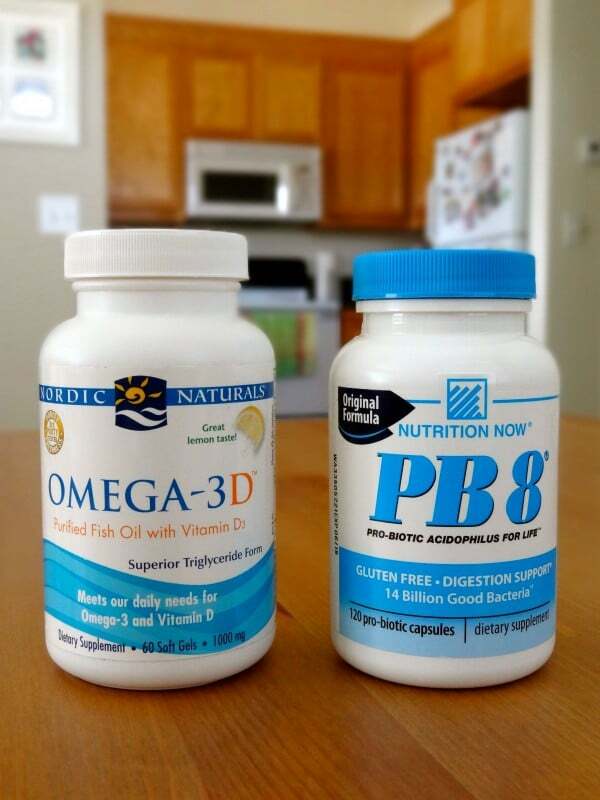 One reader will win a $45 coupon code to use at Swanson Health Products. Giveaway ends Thursday, July 24 at 6:00PM PST. As a fitness fanatic and nutrition nut, it might be surprising that my kitchen cupboards aren’t regularly stocked with protein powder and supplements. I don’t have a blender bottle in my gym bag either… probably because I don’t have a gym bag — gasp. Who knows how many protein and pre and post-workout powders are out of there on the market — a gazillion dollars worth is all I know, and a lot of them a filled with synthetic crap. My philosophy is that we should and can fuel and refuel our body with pure, whole nutrition from natural food and liquids (i.e. energy bites and coconut water). That said, I see the place and purpose for supplementation if the supplements aren’t doing more harm (with chemical binders and steroids) than good. Lately, I’ve been feeling like I need a little more protein in my diet. 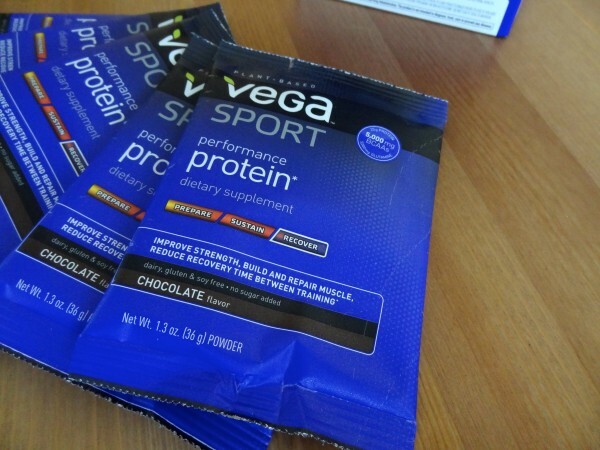 Vega Sport recently sent me their performance protein to try out. Once I read its nutritionals, I was down to give this plant-based powder a try. With 25 grams of protein per serving, featuring 5,000mg of branched chain amino acids (BCAAs) and 5,000mg of gluatamine, this product is sure to #fuelyourbetter in that all natural way I support. 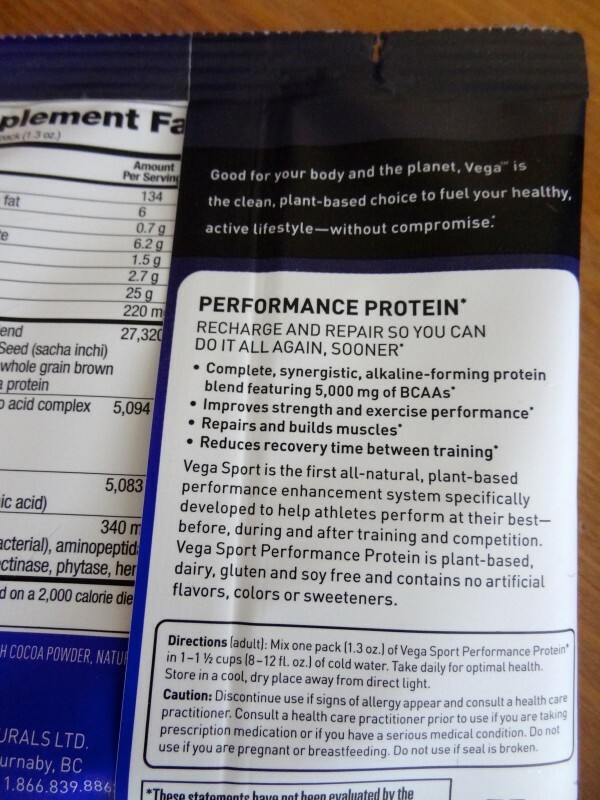 Vega Sport Performance Protein is plant-based, dairy, gluten and soy free and contains no artificial flavors, colors, or sweeteners. 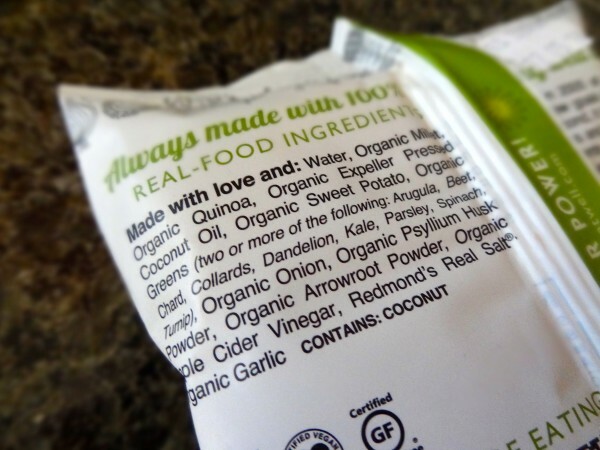 I want to like this product – I do like it – but I can’t get my tastebuds to cooperate with my philosophy. 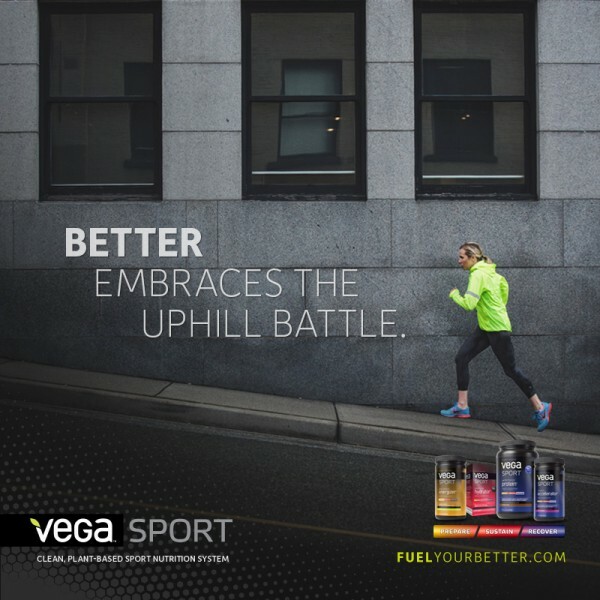 I know Vega can help me #fuelmybetter after hot summer runs and high-intensity strength workouts, so I need your help — how do you consume protein powder? The mix-with-water thing — I can’t do it. Are smoothies the answer? 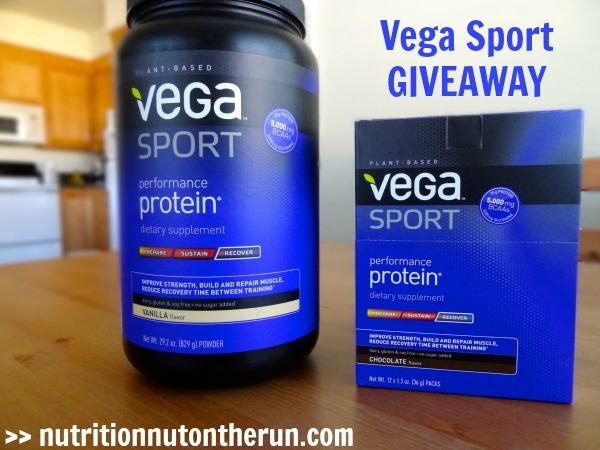 One reader will win 6 packets of Vega Sport Performance Protein (chocolate flavor). 1 // Tell me, how do you #fuelyourbetter? Giveaway closes Thursday, May 29 @ 8:00pm PST. Disclosure: I received product from Vega. This is not a sponsored post. All honest opinions are entirely my own. 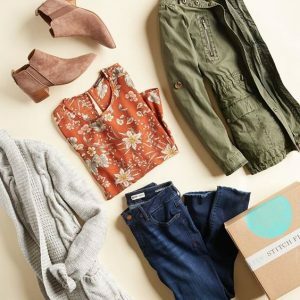 It’s giveaways galore over here — lucky you! 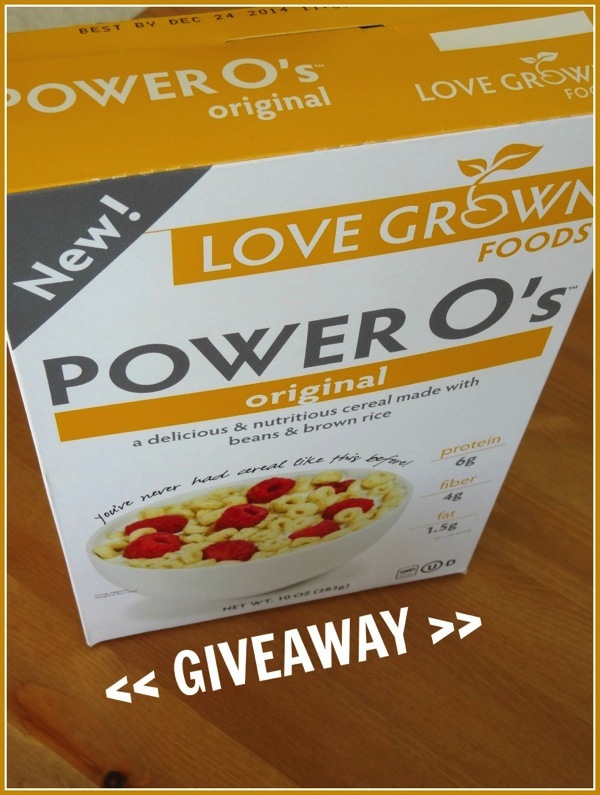 The winner of the Power O’s giveaway has been announced! The Hemp & Greens Burger nearly has my middle name in it for heaven’s sake. So… that’s what I did — I put a “hippie, rabbit food, health obsessed” burger in my basket… and it was love at first bite. Then the team at Hilary’s sent me a few coupons to stock my freezer with their wholesome veggie burgers… move over, Dr. Praeger’s. I’ve never had a veggie burger like Hilary’s. I tried both the Hemp & Greens and World’s Best Veggie Burger. It’s a close tie between the two, but I’d probably lean towards the former. I’m anxious to find their new Root Veggie Burger! I’ll pass on the burger bun, please. 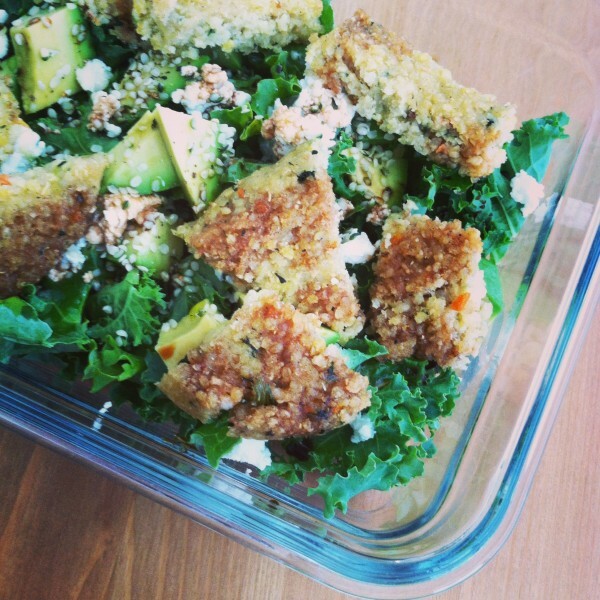 These patties are perfect crumbled on top of a leafy green salad (never too many greens! ), or I also like to keep ’em simple with avocado and goat cheese. 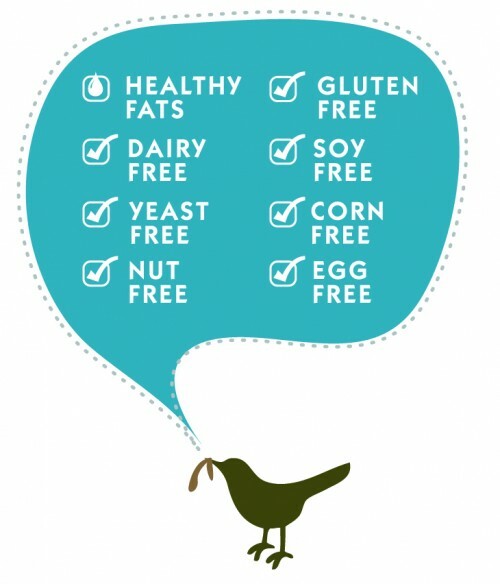 Hilary’s products are especially friendly to any of you that may have food allergies or intolerances; besides being gluten-free, dairy-free, and corn-free, they are also mega delicious. I love the texture from the millet. The majority of my lunches last week were burger based. Just pop one in the toaster, and voila! Healthy fats, protein, greens, and tasty — it’s a win win. 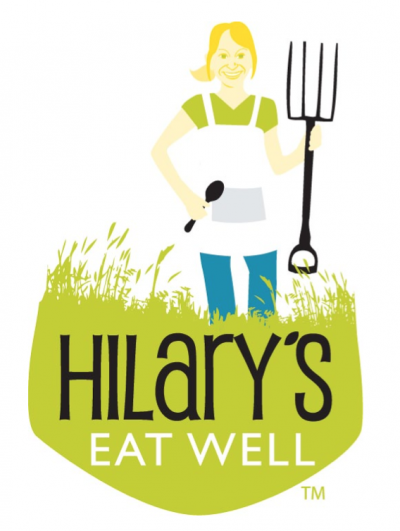 One reader will win 4 coupons for a FREE box/package of Hilary’s! There are 3 easy ways to enter the giveaway. Please leave a separate comment for each way of entry. 2 // Follow hillontherun & hilaryseatwell on Instagram. 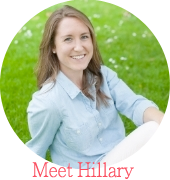 3 // Follow Nutrition Nut on Bloglovin’, Google+, or subscribe via email. Giveaway ends Thursday, April 17 @ 8:00pm PST. 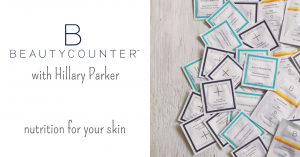 Disclosure: I received coupons for free product. As always, opinions are entirely my own. The winner of the Albion Fit giveaway has been announced. Check the original post to see if it’s you! Have you heard!? 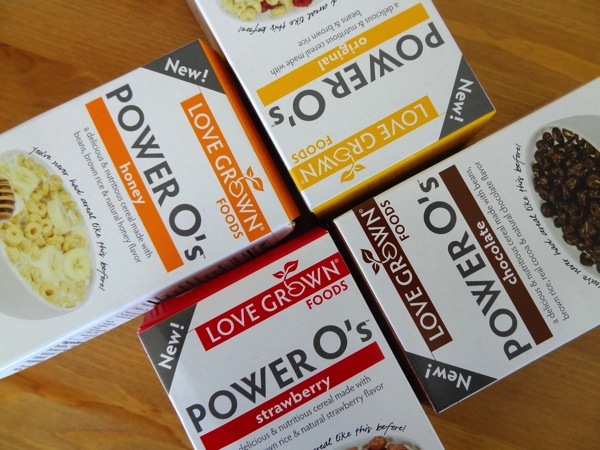 Love Grown Foods launched their fourth product last week — Power O’s! 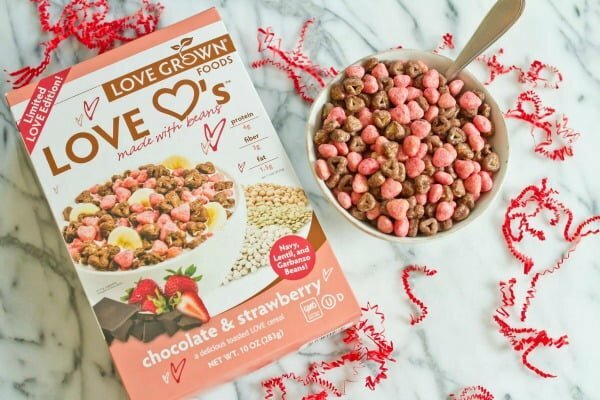 As a Love Blogger, I am treated to Love Drops every so often; I was excited, as always, when I received a secret delivery from LGF with their latest and greatest breakfast item. 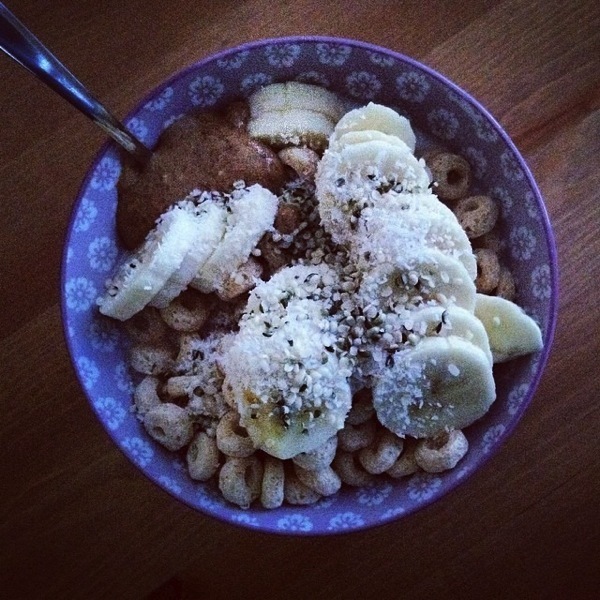 Original Power O’s // banana // hemp // unsweetened coconut // unsweetened almond milk // scoop of almond butter – bam! We all know my cereal cravings come in the evening, but even then, this innovative cereal is a healthy choice any time of the day. 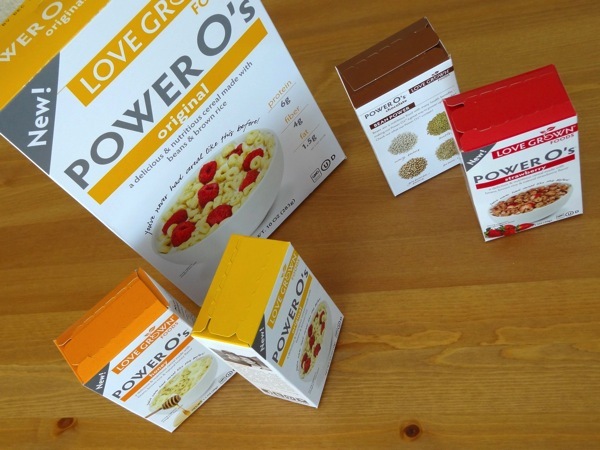 One reader will win 1 box Power O’s + 4 sample size boxes (one of each flavor). Giveaway ends Monday, April 14 @ 8:00pm PST.